You who have been redeemed, consider who it is who hangs on the cross for you, whose death gives life to the dead, whose passing is mourned by heaven and earth, while even the hard stones are split. Consider how great he is; consider what he is. In order that the Church might be formed from the side of Christ as he slept on the cross, in order that the word of scripture might be fulfilled – ‘They shall look on him whom they have pierced’ – God’s providence decreed that one of the soldiers should open his sacred side with a spear, so that blood with water might flow out to pay the price of our salvation. 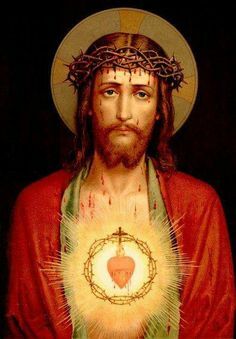 This blood, which flowed from its source in the secret recesses of his heart, gave the sacraments of the Church power to confer the life of grace, and for those who already live in Christ was a draught of living water welling up to eternal life. Arise, then, bride of Christ, be like the dove that nests in the rock-face at the mouth of a cavern, and there, like a sparrow which finds its home, do not cease to keep vigil; there, like a turtle-dove, hide the fledglings of your chaste love; place your lips there to draw water from the wells of your Saviour. For this is the spring flowing from the middle of paradise; it divides and becomes four rivers, then spreads through all devout hearts, and waters the whole world and makes it fruitful. O soul devoted to God, whoever you may be, run to this source of life and light with eager longing. And with the power of your inmost heart cry out to him: ‘O indescribable beauty of God most high! O pure radiance of everlasting light! O life that gives life to all life! O light that illuminates every light, and preserves in its undying splendour the myriad flames that have shone before the throne of your godhead from the dawn of time! From this source flows the river which makes glad the city of God, so that with glad shouts and songs of thanksgiving we sing to you our hymns of praise, and by experience prove that with you is the fountain of life; and in your light we shall see light.